The body is very sensitive to what is going on around it and will subconsciously send messages to the brain to release hormones that can often confuse a person. These hormones tell the body when to eat, when to rest and sleep, when to run away and when to stand and fight. Hormones are released by emotions such as fear and paranoia, greed, grief, hate, insecurity, loneliness, love, pleasure, stress and worry. Most people are unaware that their actions can have a severe and lasting affect on another person causing deep mental and physical damage on a molecular level. Bullying and cruelty leave scars that will remain for ever because the brain is so adept at remembering every single event and chemical change from its conception to its death. The mind often tries to ignore negative feelings but, sometimes, they will not be able to because hormones are an exceptionally powerful component in the body. This can lead to aggression, irritability and self-destructive behaviour which can then spiral down into anxiety, depression, fatigue, insomnia, lethargy, panic attacks and/or paranoia. What is called a 'chemical imbalance' is often the reason because the wrong neurotransmitters are being activated and hormones are being released for the wrong reasons. There can be many causes for this. Like any other organ in the body, the brain needs the correct fuel to function properly and this is greatly overlooked in conventional medical approaches. It has also come to light that the balance of microbes in the intestines also has a powerful impact upon the functioning of the brain. These two factors must be addressed when trying to treat neurological disorders. Substances which can affect the neurotransmitters and hormones are alcohol, caffeine, nicotine and the many other powerful drugs that mankind has created. The desire for these and money and more possessions has added to the burden of trying to control emotions. Lack of education and poverty can also contribute to the inability to control emotions because positive thoughts are difficult when someone does not know what they are capable of or what they want in life or how to get it. This is especially true as so many are now living in an unfair world where just a few are very rich and most others are below the poverty line finding it difficult to afford to eat or afford a home where they can belong. It is no wonder that the cases of neurological disorders are rising fast especially in children. Drugs adversely affect the levels of nutrients and minerals in the body and are often taken, whether prescribed, recreational or as self-medication, to counteract negative emotions which, unfortunately, is counterproductive to rebalancing the chemicals in the brain. Many drugs stop the body absorbing the nutrients it needs including antibiotics. Neurological disorders and hormone imbalances can quite often be due to a deficiency or abnormality in the diet and, again, this is often due to the inability to earn enough to afford organic nutritious food. 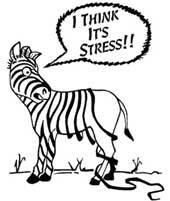 Stress can add to this, as can worry, grief, infection, disease, head injury or a fault in the genetic makeup. But in all situations a healthy body and brain which is fed the correct fuel it needs can relieve these symptoms very quickly. See Natural remedies for all psychological and brain dysfunctions below. A build-up of toxins from food additives, pesticides and drugs can also affect the brains cognitive processes and cause irritability and insomnia. They also block absorption of vital nutrients and force expulsion of nutrients especially the B vitamin complex and the minerals that are essential for the cellular and nervous system. Fluoride which is added to toothpastes and certain drinking water supplies in certain locations has now been classed as a neurotoxin and should be avoided especially by anyone with neurological disorders. The food and pharmaceutical industries strive to make more profits by adding cheap compounds to their products and many of these additives have a profound affect on the brain and its circuitry especially in children or susceptible individuals. Side effects from drugs are vastly under rated and cause a number of psychological disorders which often cannot be proven to be the cause which is why they do not get banned. Avoiding 'E numbers' and other synthetic additives is vital when trying to rebalance the chemicals in the brain and recover from any neurological disorder. Most food manufacturing and packing processes add substances that are not only unnatural and unhealthy to be consumed but can actually become toxins that build up for years in the human system, including the brain, as in the artificial sweetener aspartame which causes brain tumours in rats. See Additives to find out more. Many of these substances block absorption of vital nutrients and minerals and some processes completely strip the healthy nutrients from food altogether. Scientists are only recently discovering just how essential these nutrients are for the human system to remain in perfect health and working order. This proves that processed foods are almost definitely one of the major root causes of the massive surge in cases of anxiety, depression, concentration problems and insomnia and may even be responsible for diseases such as Parkinson's, Alzheimer's, heart disease and cancer which have also skyrocketed in the numbers of cases since processed food became the normal way to eat. A sense of well being and the ability to cope with whatever life presents can be derived from the food which is ingested as long as it contains all the nutrients required to nourish the brain and no synthetic toxins which further exacerbate the underlying cause of these disorders. Eating entirely unprocessed, organic, natural food that is alive and full of nutritional value is virtually impossible now because of price and availability. Supermarkets chains have taken control of the food production industry and only supply that which makes the best profit for them. This also means adding health damaging synthetic substances to preserve food products so that they have a longer shelf life and can be transported further afield. Many of these toxic substances end up in the brain. Many medications, currently used to treat depression, schizophrenia, bipolar etc are known to cause Parkinsonism. See Parkinson's disease to find out which ones. There are components in certain foods that can cause an over reactive immune system and nutrient deficiencies both of which can cause brain and neurological dysfunction. Some will irritate the intestines and reduce nutrient absorption. This can also cause gut permeability which then allows undigested proteins to enter the blood stream. The immune system then recognises these as foreign invaders and attacks them. But, because these proteins can be similar to proteins in the body, the immune system may then mistakenly attack those too. The brain and nerve tissues can be attacked which then causes inflammation. Lectins can affect the leptin hormones that tell the brain there is enough fat stored in the body. This can lead to weight gain which then can cause other health issues including depression. It is wise to try an elimination diet of the potential food allergens to see if there is any improvement in neurological disorders. It can take just a few days to find out or, in some cases, up to three months to see any improvement. See more about Allergies. Knowing exactly what is being eaten is also very difficult because of the surge of restaurants and takeaway fast food outlets. These food suppliers are under no obligation to inform their consumers exactly what they have put into the food and can even 'legally' hide the exact ingredients as a "secret recipe"! It has recently come to light that even pre-packaged supermarket food can contain obnoxious substances for years without the consumers' knowledge. The most common deficiencies, due to the modern day diet, can affect brain function, cognition, memory and mood. The B vitamins and many minerals are now lacking in foods that are refined, processed, packaged and sent on long journeys around the world. The food industry now cuts corners (and nutrients) in order to make vast profits and overall human health suffers as a result. Intense farming techniques also strip the soils of minerals which are not replaced meaning food grown in this soil is less nutritious than it was when they began farming the land. Lifestyle also has an affect on nutrient absorption and alcohol and many drugs cause reductions in nutrient absorption and force expulsion of minerals such as zinc. There is a huge surge in vitamin D deficiency, especially in the northern hemisphere, as the sun is at its weakest point from October to April and the body cannot manufacture any vitamin D from the suns rays and only stores enough to last around 60 days. Added to this is the use of sun blocks and working inside all day or covering up the skin. To see how to readdress these deficiencies see Natural remedies for all psychological and brain dysfunctions below. When a person feels pleasure it is because a component has attached itself to receptors in the brain and body which sometimes provides not just pleasure but often great relief and a feeling of comfort and well being. This is the brain and body's way of making sure the person survives. However, sometimes false signals are given by substances and actions that are not always beneficial but the person will yearn for these feelings to be repeated and, as in all things excess, this will be detrimental to the balance of nature. The human body and brain is a natural part of life and nature which is why trying to 'fix it' using unnatural means will never work. The number of 'pleasure' receptors actually increase the more an action or the ingestion of a substance is repeated which can lead to addiction and the only way to avoid this is to completely abstain from whatever the addiction is and replace it with actions and substances that are actually beneficial to both body and mind. Ways to do this are covered in more detail in the Addictions section. Poor nutrition, food allergies, the imbalance of friendly and pathogenic bacteria in the intestinal tract, infection, disease, obesity, pressure from society or work, debt and domestic worries, relationship issues, loss of a loved one, bullying, aggression and harsh words or actions from others can add up and result in anxiety, stress, panic attacks, depression, concentration problems and insomnia. The answer is to fix the underlying cause first and improve the diet. Chronic diseases are often accompanied by a depressed mood which often lifts once the underlying problem is rectified. Food allergies and other dietary factors, such as excess refined carbohydrates all play a large role in depression. Prescription drugs, especially beta-blockers, steroids, birth control pills and tranquilisers induce depression in many people and can cause other neurological disorders such as anxiety, insomnia, panic attacks, suicidal thoughts and nutrient deficiencies that can lead to the same symptoms. Many drugs used to treat depression and other psychological disorders can induce Parkinsonism which causes symptoms like Parkinson's disease and cause many adverse side-effects such as tinnitus, suicidal thoughts and even violence in some individuals. A deficiency of the following nutrients may be responsible for the anxiety, distress and hyperventilation which accompanies panic attacks. A study in 2014 discovered that glucoraphanin, a molecule found in cruciferous vegetables such as broccoli, Brussels sprouts, cabbage, cauliflower and kale, significantly improved the social interactions and verbal communications of persons with autism. When glucoraphanin is chewed or swallowed it produces a cancer-protective compound called sulphoraphane. Sulphoraphane improves the liver's ability to detoxify carcinogens and pollutants in the body because it activates enzymes that take up these toxins and flushes them out in the urine. Its powerful properties also improve antioxidant capacity, glutathione synthesis, mitochondrial function and lower neuro-inflammation. The richest form was found to come from broccoli sprouts and so this is a useful addition to the daily diet for autism sufferers.. Broccoli sprouts can be grown from seed at home and added raw to meals or sandwiches etc like a salad green. See the Sprouting section on this website. It has been discovered that women who become infected with the herpes virus during early pregnancy are twice as likely to give birth to a child with autism. Low vitamin D levels during pregnancy can be responsible for autism developing in the unborn child. Consuming foods rich in this vital vitamin during pregnancy can reduce this risk. Some deep sea fish and crustaceans may be contaminated with mercury therefore taking one krill oil capsule (1000 mg) per day or other sources of vitamin D may be preferable during pregnancy. Krill oil is so short-lived and dwells higher up in the oceans so it does not get contaminated with mercury. Vitamin B12 levels are often low in those with autism. People with food allergies, especially to wheat, can be deficient in vitamin B12. Glutathione levels are often low in those with autism. Medications which deplete or block absorption of methionine, vitamin B6 (pyridoxine), vitamin B9 (folic acid), vitamin B12 (cyanocobalamin) may also decrease the production of the amino acid glutathione. The brain acts as a control centre by receiving, processing and sending sensory information throughout the body and by controlling the motor function. As it ages it begins to lose its ability to process information. Concentration and memory are the first functions to be affected. Although age-associated cognitive decline will eventually happen to all brains, there are some natural ways to slow down the process and improve overall brain function. Some people develop dementia, Alzheimer's or Parkinson's disease and the following can help those conditions as well. Avoid all sugary beverages and processed foods. A diet based on fruits, vegetables, healthy fats such as coconut oil, seeds, nuts, herbs, spices, whole grains, and lean protein are important to give the brain the right building blocks for optimal health. Fresh fruits and vegetables are packed with antioxidants. These chemicals protect brain cells from damage done by free radicals. See below for other foods and nutrients that can help reduce brain degeneration. Epilepsy is a term used to cover various types of seizure disorders, which are believed to be caused by abnormal electrical signals in the brain. Seizures (also referred to as convulsions or fits) are the biggest symptom of epilepsy, but they are not the same thing as epilepsy. Epilepsy is a neurological condition in which the mind is predisposed to unexpected changes in electrical activity, which can cause a seizure. However, seizures can and do happen to people that are not epileptic. Radiation from sources such as the new generation of high-frequency televisions, energy efficient lights, microwaves, video game systems, radio towers and cellular towers may trigger severe seizures in susceptible individuals. Although cannabis has been reported as being able to reduce seizures in some individuals, in others the powerful chemicals in cannabis, especially the stronger bred plants of today, can actually cause seizures or make seizures worse. Bo tree figs The bo tree is a large fig tree that grows in the southern parts of Asia. The tree is holy to Buddhists and is used ritually and medicinally. The bo tree’s figs contain the greatest amount of serotonin when compared to all other figs and is able to significantly inhibit epileptic seizures by increasing the amount of serotonin that nerve cells transmit. Valerian (herb): This is a very popular anti-spasmodic medication in Russia and Germany. It is known for its sedative effect, but it also has an anti-convulsion action that is beneficial to epileptic people. In addition, it has been shown to aid concentration. Low doses are recommended to avoid its sedative effect. Violet tree roots: This small tree with fragrant purple flowers is indigenous to the tropical parts of Africa. The roots can treat a variety of physical and psychological problems such as discomfort, irritation, nervousness, head ache and epilepsy. It has been scientifically proven that the root extract is as powerful and effective as the pharmaceutical drug ‘phenobarbitone’ often used for epilepsy but without the damaging side effects. Vitamin E-rich foods have shown to help. A massage using an essential oil can be used to allow individuals to associate the smell of an oil with a state of relaxation. Then, when the person is stressed or felt a seizure was about to start, they should smell the essential oil. This will remind their brain of the relaxing feelings which may to help stop their seizure from happening. With practice, a person may be able to relax by simply smelling the particular oil which could then lead to fewer seizures. Jasmine oil seems to be the most effective, although this may not be the case for everyone with epilepsy. The following essential oils, in a burner, bath or as a massage can help relaxation which can prevent seizures. Lavender but not spike lavender (Lavandula latifolia) which is not recommended. Huntington's disease is a progressive brain disorder that causes uncontrolled movements, emotional problems, and loss of thinking ability (cognition). Adult-onset Huntington disease, the most common form of this disorder, usually appears in a person's thirties or forties and can be passed on genetically to offspring but not always. It is estimated that for every 100,000 people worldwide, five to10 will have Huntington's disease. Insomnia is a common affliction which can often be the cause of anxiety, stress, concentration problems, illness and depression. Memory and learning are the psychological reason for sleep and housekeeping to flush out neurotoxins is the physical and chemical reason for sleep. The brain has it's own network of plumbing pipes, known as the glymphatic system, which carry waste material out of the brain. Cells in the brain, which keep nerve cells alive, shrink during sleep. This increases the size of the interstitial space (the gaps between brain tissues) allowing more fluid to be pumped in and wash the toxins away. Failing to clear away some toxic proteins may play a role in certain brain disorders such as dementia. This is why it is important to drink a glass of pure bottled water before going to sleep especially after drinking alcohol. Dehydration may affect this process. Unfortunately, people tend to toss and turn watching the clock and worrying about feeling tired during the day when they should simply rise out of bed and do something easy that can take their mind off of the clock for two or three hours before taking a light nutritious snack like some fruit and yoghurt, a warm milky (non caffeinated) drink and returning to their beds. Melatonin is the vital component needed to get a good nights sleep, This maybe lacking in the body so consume any of the following before bed. Human beings used to sleep naturally in 2 x four hour blocks until the late 17th Century when industrialisation took over. After four hours of the "1st sleep", it was common to get out of bed around 2 or 3am and pass a few hours quietly reading, writing, sewing or even preparing and cooking the next days meals, before having a light snack with a warm drink and returning to bed around 5am for the "2nd sleep" of four hours. Unfortunately, society decided that both sleep and the working day had to be in at least eight hour non stop stretches and work must be started early in the morning (during the time the body needs it's "2nd sleep") because it was better for the profitability of the workforce. Thousands of people have not become adjusted to this unnatural regime and end up with sleep deprivation which then leads to other adverse conditions. Some people find listening to music, reading or watching TV can send them to sleep. Try these remedies too as this may take the mind off whatever is worrying the insomniac too much to fall asleep. It is always best to think of what has been done that day rather than worry about things you need to do tomorrow as this can prevent the brain from switching off and resting. Sleep loss may aggravate some symptoms of multiple sclerosis. Sleep doubles the production rate of immature oligodendrocytes which are an insulating material known as myelin that protects the brain's circuitry. The increase is most marked during the type of sleep that is associated with dreaming, rapid eye movement sleep (REM) and is driven by genes. The average adult liver has about 75 to 100 grams worth of storage space for glycogen, which varies between men and women of different body sizes. An averagely active adult will use about 10 grams per hour of their glycogen stores for energy and much more when intense activity is undertaken. This means that stores will be running low during the eight hours of fasting, when sleeping, especially if the last meal was consumed a few hours earlier. A teaspoon of honey taken before bed will restock the liver with the glycogen it needs for an eight hour sleep and hence the brain will not activate a stress response which often occurs when glycogen is low. This stress response can cause people to wake up during the night. Honey also contributes to the release of melatonin in the brain, as it leads to a slight spike in insulin levels and the release of tryptophan in the brain. Tryptophan leads to serotonin which is made into melatonin in the dark. When honey is taken last thing at night it also improves the metabolism and helps the liver break down the toxins that are stored in fat cells. Ash gourd can relieve insomnia. Bergamot tea can be drunk as a tea for insomnia. Cocoa in a cup of hot milk can aid restful sleep. Raw cacao powder is better to use though as it has not been heat treated and therefore the tryptophan that aids sleep is intact. Chamomile tea is caffeine free and can calm the nerves and aid restful sleep. Fibre: Consuming prebiotic fibre in the evening will feed the beneficial bacteria in the guts that create short-chain fatty acids that can help sleep. They also produce neurotransmitters that may help sleep. Butter beans, chick peas and red or green lentils can provide the right kind of fibre to do this. Figs promote good sleeping habits and protects against insomnia. Kiwi fruit (two) Some studies have found that consuming two kiwi fruits an hour before going to sleep can help an individual fall asleep faster and remain asleep through out the night which may be due to its high serotonin levels. Lemon balm leaf tea with a teaspoon of honey can relax the body and mind and induce restful sleep. Milk warm milk with a 1/4 teaspoon of nutmeg can aid sleep. Pineapple rehydrates the body so is useful to consume before bed. Raw Juice Therapy can successfully treat insomnia. The best organic natural foods to juice are: apple, banana, carrot, celery, tart cherry, grapes, lemon, lettuce and tomato. Scutellaria is one of the most powerful herbs to induce sleep. It calms the nervous system, relaxes the muscles and helps balance blood pressure and has no side effects. Tin: Low levels of tin can cause insomnia. Tomatoes drizzled with olive oil on rye bread or oatmeal bread. Valerian is a herb that is one of the most powerful natural sedatives in existence. It is well known for its ability to promote healthy sleeping patterns. It can relax the muscles and mind and prepare the body for a peaceful sleep. Walnuts (5 halves before bed). Zinc deficiency can cause insomnia. Taking supplements of copper can lower zinc levels as can drinking alcohol. There are many natural foods and nutrients capable of improving the memory and these can be found below at Nature Cures for all Psychological Disorders. See also Dementia and Alzheimer's Disease. Suspected meningitis is a medical emergency and an ambulance should be called immediately. It can be a life-threatening condition and the symptoms can develop very quickly. The sooner someone receives treatment, the better their chance of making a good recovery. If it is a mild case these flu-like symptoms will generally last only a few days before recovery. In more serious cases the following symptoms can develop and should be treated immediately by a qualified medical doctor. A rash of either small red / purple spots or large purple / black bruises that does not whiten or disappear when pressed (a simple test is to press a glass against the rash). Neck stiffness (if it is moderate to severe meningitis, the patient will not be able to touch their chest with their chin). Sensitivity to bright light (photophobia). Other more severe symptoms can include reduced levels of consciousness or coma and swelling of the nerves behind the eyes that are likely to be caused by increased pressure in the head. Bacterial meningitis is less common but more serious and should be treated as a medical emergency. Without treatment, bacterial meningitis can cause severe brain damage and is potentially life-threatening. The bacteria that cause meningitis can also cause septicaemia (blood poisoning). The bacteria that cause meningococcal and pneumococcal meningitis can be spread via close contact with other people and there is a risk of outbreaks of bacterial meningitis in places where large groups of people congregate and interact such as schools, colleges or universities. Viral meningitis (viral meningo-encephalitis) is the most common, but less serious, form of meningitis. Symptoms may be so mild that they can be mistaken for flu. This form of meningitis is most prevalent in children and more widespread during summer. 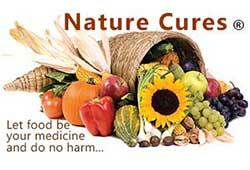 For natural remedies see the above links and the Viral Infections page. Fungal meningitis is rare and usually only affects a person whose immune system has been weakened, for example, those with conditions such as diabetes or HIV or very elderly people. 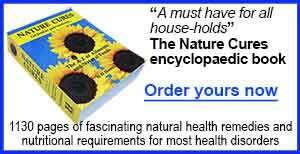 See the Fungal Infections page for natural remedies. Chemical meningitis is a form that can cause inflammation in the meninges after surgery or other invasive treatments and procedures on the brain or spine. Acidity: Stress will constrict the blood vessels which will reduce the flow of nutrients and oxygen and make the body acidic whereas a positive, content and proactive attitude without worry, pressure and insecurities can relax the body and allow molecular processes to work as they should. An acidic body can lead to some serious health issues and has even been found to help cancer to thrive however, ironically, this can be counteracted by consuming acidic foods such as apple cider vinegar or citrus fruits. Nuts and seeds: contain many essential nutrients required for combating the effects of stress. Consume two brazil nuts, five walnut halves and a small handful of unsalted cashew nuts and two tablespoons of hempseeds when stressed. Make sure the hemp seeds are whole and have not been heat processed and always consume vitamin E-rich nuts and seeds with vitamin C-rich foods such black currants, citrus fruits, dried fruits, kiwi fruits, oranges or tangerines as this will maintain the balance of the minerals in the body and help to reduce acidity. Herbs and spices: Herbal teas, especially chamomile, cinnamon, green, jasmine, lemon balm, liquorice root, nutmeg, passion flower, rosemary, turmeric and valerian can alleviate stress especially if consumed with freshly squeezed lemon juice. Add pure honey to sweeten if desired. Chewing twelve holy basil leaves twice a day during stressful times can also help to combat the effects stress has on the body and help to calm the mind. Many more natural remedies for combating stress can be found below. The following applies to anyone suffering any kind of brain disorders including aggression, anxiety, autism, bipolar disorder, brain degeneration, concentration problems, depression, epilepsy, insomnia, memory problems, panic attacks, paranoia and schizophrenia. Toxicity from unnatural substances can build-up in the brain cells and cause malfunctions and psychological problems. Some can constrict blood vessels and hence restrict blood flow and oxygen to the brain such as nicotine from smoking. Complete abstinence from alcohol, unnecessary medications, recreational drugs and smoking tobacco should be one of the first steps to take when treating any brain disorder. Proper hydration is also important for brain health. A litre of bottled-at-source mineral water should be consumed through out the day and one full glass drunk before going to bed. Coconut water, pineapple juice and vegetable juices can also help to provide nutrients the brain requires daily. Lack of sunlight, less outdoor activity and filling up on stodgier but less nutritional foods, when it is cold, can lead to a low mood. Here are some ways to naturally boost the mood anytime but especially during the winter. Both soluble fibre and insoluble fibre foods are vital in the diet. This aids digestion and feeds the beneficial bacteria in the intestines and should be consumed at least once a day. Whole grains such as barley, brown or wild rice, oats, millet, rye, teff and wheat or a combination of more than one are very beneficial especially for the elderly. because digestion and the manufacture of chemicals in the body slows down as the body ages and this in turn can affect the brain. Barley, rye and wheat contain gluten and may cause irritation to the intestines and when they cannot be tolerated the following 'pseudo-grains' make good alternatives: amaranth, buckwheat and quinoa. Oats, millet and teff are more easily digested. Flour can also be made from coconut, nuts, rice, seeds and soya beans. Bacopa This is a herb that has been used in traditional medicine for longevity and cognitive enhancement. It provides a mild reduction in anxiety and a reliable increase in memory formation seen after a month of consumption. It also protects cells and restores cell damage by acting as a free radical scavenger in the body. It has interactions with both dopamine and serotonine systems and works through proliferating dendrites (to enhance synaptic transmission) and hence promotes neuron communication. Blessed thistle improves circulation in the body and purifies blood to help eliminate toxins. It provides overall nourishment for the brain by improving digestion. NOTE: Blessed thistle is high in tannins that can cause headaches and migraines in susceptible people. See Tannins. Cocoa beans contain phenylethylamine which is an antidepressant and stimulant similar to the body's own dopamine and adrenaline. Cocoa and dark chocolate (minimum 74% cocoa) can increase the level of serotonin in the brain. Serotonin levels are often decreased in people with depression and in those experiencing PMS symptoms. Only organic cocoa beans which have not been subjected to unhealthy processing techniques will possess this compound. Phenylethylamine is chemically similar to amphetamine. It is a mild alkaloid stimulant produced naturally in the body as a by-product of the amino acid phenylalanine. Consuming a teaspoon of organic cocoa, as a hot beverage, or a small square of dark chocolate (minimum 74% cocoa - the higher the percentage the better) per day can help to increase the level of serotonin in the brain. Consuming just before bed will aid better sleep which will also improve the mood. NOTE: Raw cacao beans that have not been heat treated or roasted contain far more tryptophan than cocoa does. Tryptophan is the amino acid that helps the body to manufacture seratonin. Coconut oil has been proven to lift depression, improve memory, lower triglycerides levels and even reverse symptoms of Alzheimer's disease which can include depression. Coconut oil contains healthy medium chain fatty acids which are changed into energy and ketones. Ketones feed the brain, prevent degeneration of brain tissue and help to restore and renew nerves after damage. Take two tablespoons per day mixed with a milk or yoghurt with live cultures and a dark berry fruit. Kefir fermented milk is best. Use coconut oil for cooking as well. It is especially good with eggs and rice. Consuming fresh water crayfish, at least once a week, can offer protection against Alzheimer's disease and most other neurological disorders, asthma, heart disease and strokes. It is rich in all the amino acids the brain requires as well as omega-3 fatty acids and vitamins A, B12 and D as well as many other vitamins and minerals essential to brain health. It is easily digested due to short muscle fibres and not contaminated by pollution and toxic residues as it is very sensitive to these and cannot survive in polluted waters. Fruit, nuts and seeds contain many nutrients that can help to improve the mood and should be consumed at the same time. Hemp seed components protect brain cells which can alleviate depression. They are also the only natural food that contain the correct balanced ratio (4:1) of omega-6 (pro-inflammatory) to omega-3 (anti-inflammatory) fatty acids. Most foods consumed in the Western diet are too far high in omega-6 fatty acids. Cashew nuts have nutrients that can help to treat anxiety, stress and depression as well as any antidepressant medication. Walnuts are known to assist the brain to elevate the mood. Seeds and nuts can be ground up and used in many dishes or added to home-made flapjacks and muesli etc. The oils from these nuts and seeds also provides a concentrated amount of the beneficial nutrients as long as they are cold-pressed. Raisins one small handful with the nuts. NOTE: Dried fruit, nuts and seeds are high in calories so no more than the recommendations above should be consumed and less if trying to lose weight. Nuts and seeds should be ground to a fine powder for young children and those suffering from diverticulitis. NOTE: Cashews contain oxalates, which can become concentrated in the body over time and result in health issues in people suffering from gallbladder and kidney problems. Eggs are helpful in foetal brain development and very good for pregnant women to consume as they contain choline. They are also able to provide many of the essential nutrients need for correct brain function and should be a staple part of the diet for anyone suffering from psychological disorders. Eggs whites are high in cholesterol, which the arteries need for repair, the brain requires for structure and the body needs to make vitamin D. They also have the highest quality source of protein available. Egg yolks also contain almost every essential vitamin and other important nutrients including: betain, carotenoids, choline, cryptoxanthin, lutein and zeaxanthin, lycopene, omega-3 fatty acids, phytosterols. Eggs contain the vitamins A, B1, B2, B3, B5, B6, B7, B9, B12, D, E and K and are also a rich source of all essential minerals such as calcium, chromium, copper, fluoride, iodine, iron, lithium, magnesium, molybdenum, phosphorus, selenium, sodium and zinc. One large egg contains about 78 calories and one medium sized egg contains around 66 calories which equates to about 131 calories per 100 grams which means they are a useful in the diets of those trying to lose weight. NOTE: There are high levels of a protein called avidin in raw egg whites which bind to vitamin B7 (biotin) which may cause a deficiency of this vitamin if consumed over a few months. When cooked, avidin is partially denatured and binding to biotin is reduced. However one study showed that 30-40% of the avidin activity was still present in the white after frying or boiling so consumption of cooked egg whites should be limited to about three times a week whereas egg yolks, that contain most of the nutrients and no avidin, should be consumed more often. The other alternative is to eat extra foods rich in vitamin B7 the same day as eating egg whites. See vitamin B7. By increasing blood flow to the brain and overall blood circulation throughout the body, gingko biloba helps refresh the state of mind and acts as a natural antidepressant. It has an antioxidant actions that stabilises the structure of brain and nerve cells to protect them from oxidative attacks from free radicals. The progression of Alzheimer’s disease is effectively prevented through constant use. By maintaining appropriate blood flow to the brain to carry nutrients, gingko biloba reduces mental fatigue, increases energy, helps to maintain neurotransmitters in nerve cells and improves the memory. Ginseng is also known as a 'brain food' as it improves concentration, thinking and memory. It is also a supplement for added physical stamina. All these benefits contribute to its anti-anxiety properties as it revitalizes the body. Ginseng has many benefits and these include stimulant properties to reduce stress and enhance health. It can also be used as a relaxant and can also help maintain emotional balance. Gotu kola alleviates the symptoms of anxiety and depression and stimulates brain function to improve memory. The herb works through chemicals called triterpenes which enhance the formation of collagen in cartilage, bones and connective tissues then promotes healthy blood vessels and help to produce neurotransmitters which are the chemical messengers in the brain. Holy basil leaves are regarded as an 'adaptogen'. Recent studies have shown that the leaves afford significant protection against stress. Even healthy persons can chew 12 leaves of holy basil, twice a day, to prevent stress. It also purifies the blood and helps prevent several common ailments. Green tea is a sources of powerful and protective antioxidants. Regular consumption can enhance memory, focus and slow down brain aging. When consumed with freshly squeezed lemon juice these qualities are increased tenfold. Try adding green tea to a pot of another favourite herbal tea to improve the taste and nutritional benefits. Hemp seed components protect the brain cells which can alleviate symptoms of anxiety and depression and improve the memory and mood. They also can protect against and help to improve symptoms of Alzheimer's disease, dementia and Parkinson's disease. The normal daily consumption for general health should be about 42 grams (4 heaped tablespoons) for an average sized adult. For larger than average people or to treat any ailments it is advised that 55 grams (5/6 heaped tablespoons) is consumed daily. Make sure that the hemp seeds are organic and have not been heat sterilised in order to gain the benefit of high nutrition from it. Jasmine tea can slow down the heart rate and reduce levels of stress and anxiety. The rhizome (underground stem) of the kava kava is used as a sedative to alleviate stress, anxiety and insomnia and soothe the nerves. Kava kava can induce a mild state of euphoria and sedation. It is very effective in the treatment of anxiety, working within a week of taking it daily. In medical applications, the herb is used in the treatment for women with post-menopausal depression. For people with sleep disorders, kava kava is a non-addictive herb which can work as a mild tranquiliser. Lemon balm has calming effects and, if combined with other calming herbs, such as chamomile, hops and valerian, helps reduce anxiety, stress, restlessness and promotes sleep. It has been used since the Middle Ages for this purpose. Lemon balm leaf tea with a teaspoon of honey can relax the body and mind. Liquorice root contains a natural hormone alternative to cortisone, which can help the body handle stressful situations, and can help to normalize blood sugar levels as well as the adrenal glands, providing the energy necessary to deal with the stressful situation at hand. Some claim it stimulates cranial and cerebrospinal fluid, thereby calming the mind. Nutmeg can effectively stimulate the brain, eliminating fatigue and stress, relieve anxiety or depression and improve the concentration and it is also an effective sedative. For restful sleep drink a cup of warm goat's milk with some nutmeg powder. This will help achieve relaxation and induce sleep. Taking 1600 mg oat straw extract daily can acutely improved the cognitive function including attention, focus and concentration abilities in elderly adults. It is also is a good allopathic medicine for treating anxiety, panic attacks, depression, nervous exhaustion and calming hyperactive children. Okra (lady’s fingers), is a supreme vegetable for those feeling weak, exhausted and suffering from depression. It also maintains healthy mucus membranes and skin, treats acne, helps to develop immunity against infectious agents, reducing episodes of cold and cough and asthma, strengthens the bones, treats lung inflammation, sore throat and irritable bowel syndrome and helps to protect against cancer. Consume lightly steamed as a vegetable as often as possible. Passion fruit contains components which have the ability to relax the nerves and relieve headaches and neurasthenia (chronic fatigue), weakness, no appetite, inability to concentrate and insomnia. Probiotic and prebiotic foods should be included in the diet because the intestines and brain work closely together and they both contain neurons which produce serotonin. Sugary beverages and processed foods feed the pathogenic bacteria and yeasts which then crowd out the healthy gut flora and this can impact overall brain health, mood and behaviour. Consuming probiotics is a good way to optimise the balance of gut flora and subsequently support brain health and the immune system. Making a rich soup with any of the prebiotic and probiotic foods and consuming daily can help to restore the balance of the intestinal flora. Add plain yoghurt, spices and herbs for added benefit. Probiotic foods that provide additional beneficial bacteria are: brine pickles, kefir milk, kimchi, kombucha, miso, sauerkraut, tempeh and yoghurt (plain organic). Psyllium husks can be highly beneficial for any digestive or bowel problems which often affect the body which in turn reduces nutrient absorption which in turn will affect the brain. One tablespoon should be consumed in a full glass of mineral water or juice per day followed by another full glass of mineral water afterwards or they can be sprinkled on meals. See the Fibre page for more information. Rosemary is a herb rich in carnosic acid, which dilates the cerebral vascular tissues and enhances blood flow. The scent of rosemary can improve memory performance. Rosemary helps to enhance memory, calm nerves, stimulates the circulatory system and helps prevent the breakdown of neurotransmitters in the brain. Painful menstrual periods and excessive milk flow during nursing have been kept at bay by sage in the past. It is also highly effective in avoiding nightmares during pregnancy and menopausal hot flushes and depression. The herb temporarily eases the effects of hormonal imbalances and fluctuations. St John's wort is a herb that is especially useful in the treatment of anxiety, depression and insomnia and can also be helpful to women who suffer these symptoms and other emotional disturbances during the menopause. Turmeric has been proven to be more effective at treating depression than many common anti-depressant drugs and has a multitude of other powerful healthy-giving properties. Take half to one teaspoon daily. Sprinkle on savoury dishes such as brown rice, curries, omelettes, stews or vegetables. It is especially beneficial with cauliflower. The violet tree is a small tree with fragrant purple flowers that is indigenous to the tropical parts of Africa. The roots can treat a variety of physical and psychological problems such as discomfort, irritation, nervousness, head ache and epilepsy. It has been scientifically proven that the root extract is as powerful and effective as the pharmaceutical drug 'Phenobarbitone' often used for epilepsy without the damaging side effects. While the body sleeps, important processes are taking place such as the building of new cells in the brain and body and the elimination of waste materials from existing cells. The brain gets flushed of toxins by using water so it is important to drink a large glass of mineral water before sleeping. Tap water can contain fluoride and chlorine which cannot be removed using a filter so bottled-at-source mineral water is the best choice as it also contains many minerals that are not present in tap water. The brain needs certain nutrients in order to work effectively and, unfortunately, many of the drugs used to treat mild cases of schizophrenia and depression and other health issues (and used recreationally) can actually make nutrient deficiencies worse especially the B vitamins and many minerals which are essential for healthy brain function. Alcohol consumption also causes serious nutrient deficiencies of these vitamins and minerals such as zinc. However, aspartic acid from aspartame, the artificial sweetener used in many 'sugar-free' products, has the same detrimental effects on the body as glutamic acid, when it is isolated from its naturally protein-bound state, causing it to become a neurotoxin instead of a non-essential amino acid. There are over 92 side effects associated with aspartame consumption because it can dissolve into solution, travel throughout the body and deposit in any tissue. Aspartame brings on clinical diabetes and can cause convulsions. Aspartame makes the consumer gain weight because it causes powerful sugar cravings which is ironic when it is consumed by people wishing to avoid sugar. Iron is an important component in cognitive, motor sensor and social-emotional development and functioning. Iron deficiency leads to an insufficient number of red blood cells which can cause symptoms of depression like fatigue, brain fog, loss of appetite and irritability. It also helps prevent learning problems for children and promotes a calm sleep. A deficiency of iron and vitamin B6 may be responsible for the anxiety, distress and hyperventilation which accompanies a panic attacks. When consuming iron rich foods, one should also consume foods rich in vitamin B9, vitamin B12 and vitamin C everyday. Vitamin A greatly helps move iron from storage in the body and without adequate amounts of vitamin A the body cannot regulate iron properly leading to an iron deficiency. The human body is able to produce glutamine from glutamic acid. Glutamine is the amino acid with the highest concentration in blood plasma, musculature and cerebral and spinal fluid It can help to increase mental prowess and energy and speed the recovery from tumours in the brain and assists in brain capacity and memory function. It has said to improve the mood when given to people suffering from depression. The human body normally produces enough glutamine, on its own, for every day maintenance. However, extensive work outs, prolonged stress, injuries and infections can deplete the supply. Richest sources of glutamine are: beef, beetroot, cheese, cabbage, chlorella, halibut, kombu, legumes, milk, oily fish, organ meats, parsley, propolis, poultry, seaweed, spinach and venison. Richest sources of glutamic acid are: Apples, apricots, beef, brewer's yeast, cheese, halibut, kombu, legumes, milk, oily fish, organ meats, poultry, rabbit, seaweed, spirulina, torula yeast and venison. The chief store-house of iodine in the body is the thyroid gland which is important to mental health. The essential thyroxin, which is secreted by this gland, is made by the circulating iodine and the amino acid tyrosine. Iodine is a trace mineral element which regulates the rate of energy production and body weight and promotes proper growth. It also improves mental alacrity and promotes healthy hair, nails, skin and teeth. Malvidin found in black rice, blueberries, cranberries and red grapes are a powerful antioxidant that can slow down age-related motor changes, including those seen in Parkinson's and Alzheimer's disease. Platinum has been shown to improve glandular disorders, brain or nerve malfunctions, insomnia, premenstrual tension, back pain, neuralgia, headaches and chronic fatigue. It can also promote youthful vitality and mental alertness. Up until the 1980's platinum was abundant in many vegetables like kale and spinach. Since then, platinum and many other minerals, such as magnesium, have been leached from the soil of many countries through intensive farming techniques and over cropping. Sources from the sea and lakes are now richer in platinum and these other minerals than land grown crops. Note: Grains need to have been grown in platinum-rich soils. Selenium is important to mental health as it plays a role in the workings of the thyroid gland and can help to alleviate the mood and reduce symptoms of depression. It is also known to alleviate hot flushes and menopausal distress. Selenium also has a role in detoxifying poisonous phenols, formaldehyde, acetaldehyde, hydrocarbons and chlorine all of which can have an adverse affect on the brain and body. Sulphur containing natural foods are valuable in treating brain disorders and mental health issues as sulphur helps to eject waste and poisons, such as heavy metals, from the system including the brain. Sulphoraphane improves the liver's ability to detoxify carcinogens and pollutants in the body because it activates enzymes that take up these toxins and flushes them out in the urine. Its powerful properties also improve antioxidant capacity, glutathione synthesis, mitochondrial function and will also lower neuro-inflammation. The richest form has been found to come from broccoli sprouts and so this is a useful addition to the daily diet for all brain disorders. Broccoli sprouts can be grown from seed at home and added raw to meals or sandwiches etc like a salad green. See the Sprouting section on this website. Tin: Low levels of tin can cause depression and fatigue. There are many causes of depression, some resulting from abnormal brain chemistry, while others are associated with low blood pressure, low thyroid, low blood sugar or low (or high) levels of various essential nutrients such as calcium, copper, lithium, magnesium, manganese, sodium, tin, protein, vitamin B1, vitamin B6, vitamin B10, vitamin B12 and others. Tin is not a panacea for depression; it will not work when other chemical imbalances are involved, but it can be the missing link when most other attempts to resolve depression have failed; essentially involving low or malfunctioning adrenal glands. For the same reason, some cases of asthma, particularly when related to low adrenaline and subsequent left-sided cardiac insufficiency, respond to tin as well. NOTE Tin may interact with iron and copper, particularly in the gut, and so inhibit absorption of these elements. Vitamin B1 (thiamine) deficiency has been linked to severe mental illness. Beriberi is the vitamin deficiency disease in which the body does not have enough vitamin B1 (thiamine). Beriberi literally means "I can't, I can't" in Singhalese, which reflects the crippling effect it has on those that are deficient. Thiamine serves as a coenzyme in the chemical pathway responsible for the metabolism of carbohydrates. Persons may become deficient in vitamin B1 either by not ingesting enough in the diet or by excess use, which may occur in hyperthyroidism, pregnancy and lactation or fever. Prolonged diarrhoea may impair the body's ability to absorb vitamin B1 and severe liver disease impairs its use. Athletes and dancers may become deficient in vitamin B1 due to excessive perspiration and fluid loss. See Sports Nutrition. Vitamin B2 (riboflavin) is needed to activate vitamin B6 (pyridoxine) and vitamin B9 (folic acid), helps to create vitamin B3 (niacin) and assists the adrenal gland which is important for the normal reactions to stimuli. Vitamin B2 lost during food processing and often re-added as a supplement to foods afterwards but this is a difficult process and riboflavin is destroyed by light. It is better to consume the foods below that are rich in this vitamin. Vitamin B3 (niacin) is often lacking in the normal diet and is vital as it enhances gamma-aminobutyric acid activity inside the brain and both this, and the activities of nicotinamide adenine dinucleotide, enhances cognitive function, memory and the mood. Niacin can be acquired directly from oily fish and organ meats and also manufactured from tryptophan and vitamin B6. However, drinking alcohol and many drugs can reduce levels of these nutrients. Bran is also an excellent source of niacin but it is often lost during the refining process. Anyone who eats high amounts of white bread, white rice and other refined products will not receive adequate amounts of niacin. Serotonin, (the neurotransmitter that antidepressants like Prozac works on), is made in the body from the amino acid tryptophan. While antidepressants more or less locks the system in a state of perpetual serotonin flood, which may be the mechanism that leads to the suicidal thoughts and violence, consuming foods with tryptophan provides the body with the building blocks it needs to generate its own supply of serotonin to alleviate depression, anxiety and insomnia. Vitamin B6 (pyridoxine) is necessary for the conversion of tryptophan to both vitamin B3 (niacin) and serotonin. A diet rich in both tryptophan and vitamin B6 can remove the need for antidepressant medication. Vitamin B6 also helps the body absorb vitamin B12, the deficiency of which is also linked to depression. Consume a selection of natural foods from both the nutrients listed below on a daily basis. Vitamin B7 (biotin) deficiency of may result in depression, mood swings, panic attacks and fatigue. Vitamin B8 (inositol) has been shown to be effective in treating cases of Alzheimer's disease, anxiety, bipolar disorder, depression, bulimia, panic attacks, obsessive compulsive disorder and other psychological disorders that respond to serotonin uptake inhibitors and as an analgesic for pain control. Vitamin B9 (foliate, folic acid) is a water-soluble B vitamin that is required for the proper biosynthesis of the neurotransmitters serotonin, epinephrine and dopamine. Vitamin B9 also assists in digestion and the nervous system and works at improving mental as well as emotional health and is effective in treating anxiety, apathy, depression and fatigue. Vitamin B12 is closely related to nerve health and keeps the mind sharp when aging. A lack of this essential vitamin may shrink the brain. Lack of concentration, depression, mental fogginess and having problems with memory are all important signs that may indicate a B12 deficiency. Alcohol and many other drugs greatly reduce levels of vitamin B12 as does intense, strenuous and prolonged physical activity. Vitamin B12 levels are often low in those with brain disorders especially autism and schizophrenia. People with food allergies, especially to wheat, can be deficient in vitamin B12. It may be useful to try cutting wheat from the diet. Unfortunately, many medications have wheat and gluten as a filler and, often, this will not be shown on the label. Food allergies, to components such as gluten and lectins, can cause a leaky gut which allows undigested proteins to escape into the blood stream. The immune system then attacks these proteins and, because they can be similar to the body's own proteins, the immune system can then begin to attack proteins that are part of the body or brain. Leaky gut can also affect the absorption of vital nutrients, including minerals the brain needs, so food allergies should be considered when treating anyone with psychological disorders. See Food Allergies for more information. Vitamin B15 can help with both preventing and treating degenerative brain function and dementia. Natural foods rich in vitamin B15 are: apricot kernels, beef blood, brewer's yeast, brown rice, pumpkin seeds, sunflower seeds and whole grains. Vitamin D increases nerve growth and plays an important role in many of our brain’s functions that involve planning, processing of information and memory but is the most common nutrient to be deficient because people cover up, use sunscreens, avoid the sun or work inside or sleep during the day. Vitamin D deficiency has been linked to depression as well as dementia and autism. This vitamin helps in the production of dopamine and serotonin, the hormones associated with mood elevation, happiness and restful sleep, and an adequate level of these can prevent and treat depression. Vitamin D deficiency is common among the elderly, adolescents, obese individuals, those that limit meat and fish consumption and those with chronic illnesses and has been cited as the probably cause for depression in these individuals. Copper, together with zinc improves the absorption of vitamin D which aids in the absorption of calcium. Alcohol and some medications cause the expulsion of zinc so it is advisable to consume more zinc-rich foods if on medications or if alcohol is consumed regularly. The skin manufactures vitamin D from the sun's rays then stores it in fatty tissues for up to 60 days. When the sun is weakest during October to April this may deplete stores rapidly and extra from natural foods will be required. Just 15 minutes of midday sunshine on bare skin can provide the body what it requires. Covering the skin, sun screens and windows prevent this process and cloud cover will reduce it by 50%. If a blood test shows there is a drastic deficiency of vitamin D and supplements are advised, they must be vitamin D3 and not D2 and check that aspartame has not been added to chewable forms. Consuming natural foods that are rich in vitamin D is far healthier and safer than taking supplements, although krill oil supplements are complete oils so can be a great alternative for anyone suffering with any neurological disorders as they also supply omega-3 fatty acids and the antioxidant astaxanthin. . It is difficult for vegans to gain sufficient vitamin D as there are few plant foods that provide it. However certain mushrooms (listed below) and hemp seeds are two ways of gaining extra in their diet. Zinc boosts neurotransmitter production and function and is involved in over 250 separate biochemical pathways that support the functions of different organs. Those drinking excess alcohol have low levels of zinc because alcohol decreases zinc absorption and increases urinary secretion of it. Diuretic medications also adversely affect zinc levels. If an individual ingests excessive amounts of caffeine, drugs or sugar, it is more than likely that a zinc deficiency will develop. Low zinc levels can cause liver deterioration and diminished functioning of the reproductive organs, immune system and skin and, very often, people suffering with depression have very low zinc levels. Gastrointestinal surgery, Crohn's disease, ulcerative colitis, short bowel syndrome and other digestive diseases can all decrease zinc absorption and increase zinc loss from the body. For unknown reasons 44% of children and 60-70% of adults with sickle cell disease have low levels of zinc. Iron can interfere with zinc absorption and therefore, if iron supplements are absolutely necessary, they should be taken alone between meals. Too much phosphorous can cause diarrhoea and calcification (hardening) of organs and soft tissue and can interfere with the body's ability to use iron, calcium, magnesium and zinc. It is a matter of getting the balance right which is why supplementation is not advised. Foods that contain these minerals will never overdose the consumer with phosphorous. Consume a wide variety of the foods below in the daily diet to benefit from their powerful properties. Consume plenty (not just 5) of all colours of fruits, vegetables, herbs and spices per day. If nothing else but the natural foods listed here are consumed for two weeks the difference in mood and cognitive function will be noticed. Try steaming a wide selection of the vegetables listed with the herbs and spices listed and a tablespoon or two of bottled or filtered water then place in a blender for a deliciously healthy potage soup and eat a small bowl before each meal. Similarly blend a wide selection of the fruits together with nutmeg, cinnamon and honey to provide a tasty nutritious 'smoothie'. Add live probiotic organic yoghurt to make the 'smoothie' or soup creamy. Stay away from substances that can worsen neurological disorders such as sugar, alcohol, coffee, medications, artificial additives such as aspartame, pesticides and household and cosmetic toxins. Beef (organic lean grass-fed), calf's liver, eggs, lambs liver, lamb, poultry and game bird, organ meats, rabbit and venison. Apples, apricots, avocado, bananas, berries, cherries, kiwi fruit, lemons, limes, grapefruit, grapes (black or red), limes, mango, maqui berries, mosambi juice, orange, papaya, peaches, pears, plums, pomegranate, rosehips, soursop, tangerines and watermelon. Almonds (five per day), brazil nuts (2 per week unless excessive sweating, through exercise or fever, has taken place, then eat 2 per day, cashews, chestnuts, coconut, hazelnuts, peanuts, pecans, pine nuts, walnuts (5 per day). Angelica pubescens, borage, burdock root, black seed, cnidium monniera seeds, common stinging nettles, damiana leaves, dandelion, devil's claw, drumstick, elecampane, false unicorn, golden seal, ginkgo biloba, gotu kola, horsetail, hydrangea, Japanese or Chinese knotweed, jasmine, kudzu root extract, huang lian, lavender, liquorice root, lobelia, maca root, milk thistle, motherwort, noni, oatstraw, pan pien pien, passion flower, periwinkle, pine needles, Queen of the meadow, red clover, rock-rose flowers, saffron, saw palmetto, schizandra, scutellaria, slippery elm, yellow dock root, valerian, and wild strawberry leaf. Cardamom, cayenne pepper, cinnamon, cloves (three ground), cumin, coriander, ginger, Himalayan pink salt crystals, nutmeg, paprika, peppercorns (all colours), sea salt (pure unrefined) and turmeric. A teaspoon of turmeric should be consumed daily due to its powerful healthy compounds. Sprinkle on to egg, fish and vegetable dishes or on brown rice and other grains. Aloe vera juice, anise seed tea, apple cider vinegar, barley grass (powder or juice), bergamot tea, black strap molasses, brewer's yeast, brine pickles, chamomile tea, green tea, honey, miso, peppermint tea, pine needle tea, tea and tofu. Barley grass is one of the rare plants to contain vitamin B12 so is a useful addition to the diet of those that limit meat intake. Drink at least 6 glasses of mineral water everyday and only consume unrefined sea salt and organic natural foods to be sure of obtaining all the essential minerals. DDT (dichlorodiphenyltrichloroethane) is an insecticide which was banned in many countries including the USA and UK by 1980 but some countries still use it to try to control malaria as advised by the World Health Organisation. Some foods may be imported that have been contaminated as it also degrades very slowly in the environment hence lingering in the soil. In the human body it is converted to DDE and stored in fatty tissues including those in the brain. It has been reported that high levels are often found in those suffering with Alzheimer's, peripheral neuropathy and in those who have had a stroke. Heavy metals such as mercury also affect brain function and can be the cause of some degenerative diseases. Some seafood is contaminated by mercury. To find out more see Heavy Metals. There are many ways to detoxify the body of toxins such as pesticides. Deep breathing exercises in through the nose and out through the mouth whilst bouncing on a trampoline has extraordinarily worked for some. Any regime which cleans the liver and kidneys will also detoxify the body. Losing extra weight by regular gentle exercise can also help as it is stored in the fatty tissues and can be expelled through perspiration. See the Cleanse and Detoxify page for more information. The main causes of peripheral neuropathy, which is damage to the peripheral nervous system, are toxins which includes pesticides and the over consumption of alcohol. If treated early by detoxifying the liver it can be reversible. Poor liver and kidney function stops the expulsion of hazardous toxins which continue to build up leading to numb and tingling feet and hands which can become painful eventually leading to immobility. Avoid all processed refined food, all drugs and the herbs ginseng and yohimbine. Try lacto acid brine pickles. That way vegetables will last an entire year in jars and provide all the nutrients needed plus additional beneficial friendly bacteria. Maybe something to do when sleep is evasive at night. There are many dangers of drinking too much and the most significant ones are to the brain, nervous system, the pancreas, gall bladder, colon and the liver. Once the liver is damaged nutrients are no longer absorbed and insomnia, depression, anxiety, concentration problems and ill health soon follow. See the Dangers of Alcohol page. The toxic pesticides used on coffee beans and the roasting process creates a composition of chemicals in coffee which block absorption of many vital nutrients and affect the adrenal glands. This creates a harmful imbalance and toxic affect on the brain and intestines. Tea, on the other hand, provides many highly nutritional benefits especially green tea. Chamomile tea is very good for relieving stress. See the Dangers of Coffee page for more information and alternatives. Use plain organic yoghurt with live cultures as an alternative to cream in sauces and with fruit. Yoghurt adds some more of those necessary beneficial bacteria to the intestines. Coconut milk is also highly nutritious and has antibacterial, antifungal and antivirus properties. Butter from grass-fed cows is far more nutritious than margerine. Always look for organic buuter without additives. Olive oil solidifies in the freezer just like butter and can be used as a spread without the harmful fats and additives found in processed margarines. Add crushed garlic, herbs and spices for additional nutrition and taste. Sugar is highly addictive and has become more profitable than tobacco and alcohol so it is now added freely to thousands of processed food products to ensure repeat sales but it is one of the most detrimental foods consumed today. The massive rise in diabetes, obesity, heart disease, neurological disorders and many other devastating and deadly diseases can be attributed to the daily consumption of high amounts of sugar. Pure honey, sweet potato, swede, parsnips, coconut, raisins, sultanas, currants and sweet fruits like berries, apricots, mango, papaya and peaches can be used as a very simple alternative to give the same satisfaction of a sweet taste but with added benefits of phytonutrients which sugar (especially bleached white sugar) does not possess. Sugar feeds the pathogenic bacteria in the intestines so they crowd out the friendly bacteria which leads to nutrient deficiency, infection, fatigue, depression, a lowered resistance to viruses and yeasts and ultimately to disease. See Sugar Dangers for more information. White flour and white rice have had all most of the nutrients stripped out and is often bleached using chlorine. Consume alternatives such as amaranth, barley, brown rice, buckwheat, oatmeal, millet, quinoa, rye, rice flour, and psyllium husks on a daily basis to aid digestion and absorption of vital nutrients. Rye especially cannot be stripped of its nutritional husks in the food manufacturing process. The body needs fibre every single day for the intestines to do their job. See the Fibre page to find out why. Table salt has been stripped of its minerals (which are sold to other industries for higher profits) then the residual table salt is sold as 'food'. Use Himalayan pink crystals or unrefined sea salt. The white the salt the less the mineral content. See the Salt page. See Cleanse and Detoxify to find out how to flush out the system and detoxify the brain, blood and liver. Only eat foods that are cerrtified as organic because of the brain affecting residue of powerful chemical pesticides, herbicides and fungicides. See the Pesticides page to find out why. Try to get 15 minutes midday sunshine on bare skin as often as it is possible (will not work through a window or sunsctreen). Vitamin D deficiency, which can cause insomnia and diarrhoea and affect the nervous system, has risen significantly over the past few years mainly because the use of sunscreens due to the scare of skin cancer. 15 minutes will do no harm but will have a reaction which makes the body manufacture all the vitamin D it needs. When that is not possible eat plenty of oily fish and a krill oil capsule daily. It ius advisable to consume algae, coriander, seaweed and sulphur-rich foods when consuming fish to make sure mercury is eliminated as much of the ocean has been contaminated with this heavy metal. The pineal gland needs sunlight to function correctly and secretes two hormones, serotonin and melatonin, which affect mood and sleep. During the winter months some people become depressed due to lack of sunlight. The light source needs to be 10,000 lux which is ten times that of an ordinary light bulb and special light boxes are available to purchase which filter out the harmful UV rays. It is best to sit in front of this lamp for at least 45 minutes first thing in the morning but they can be used, when working at a desk, throughout the day. They should not be used in the evening though as they may cause insomnia. Mental activity by challenging the brain to learn new things will improve brain function as well. Brain games such as chess or puzzles, solving crosswords, learning a new language, participating in social activities and creative arts, computer games, using the internet or learning to play an instrument are all good examples that can keep the brain busy and active and will improve overall brain health. Physical activity causes the brain to release chemicals which promote neural health and improve the learning process. Increased blood flow and energy levels helps the brain to work faster and more efficiently. While exercising, more oxygen reaches the brain, which reduces the risk of disorders that lead to memory loss. Sleep is vital for overall brain health because it is during this time it is resetting itself and dealing with all the day's data input which then helps with mental functions the next day. Getting enough quality sleep improves memory, focus, creativity, critical thinking skills and problem-solving abilities. Keeping the brain awake unnaturally, by consuming caffeine or other drugs, can be detrimental to it's function and processing abilities. Research has proven that afternoon naps boost and restore brainpower in infants, adolescents and the elderly. Adequate sleep can also help to repair damage done by pollutants and free radicals and help to slow down the aging process. Try the growing your own Sprouts to gain a wide selection of essential nutrients in small portions of sprouted legumes, seeds, nuts and whole grains. The body needs all of the chemicals and minerals necessary to correct imbalances in the brain. To find out how to grow your own sprouts in a jam jar with just a daily rinse of water click here. Take deep breaths, walks in the sunshine and warm aromatic baths, remove clutter from your life, stop worrying, look at the bigger picture, enjoy experimenting with your new diet, forget the past and think ahead to how well your body will feel in two weeks time if you stick to the foods advised on this page. Take care of your body and mind and they will take care of you. Most neurological disorders can be treated with the same natural foods and require the same nutrients and there are more to be found on the Addictions page.